Posted March 1, 2015 by Amy Archer-Williams & filed under Episodes. Sir Arthur Ignatius Conan Doyle is undeniably one of the best loved figures in Britain’s literary history. ITV’s new three-part series Arthur and George has a lot to live up to. Spanning more than a century and spread across many different adaptions, the fanbase for Conan Doyle’s famous detective has arguably never been greater than it is right now. Of course, the main thing that unites any and all fans of Sherlock Holmes in his various forms is appreciation of the man who created the deerstalker-clad detective and his army doctor companion. 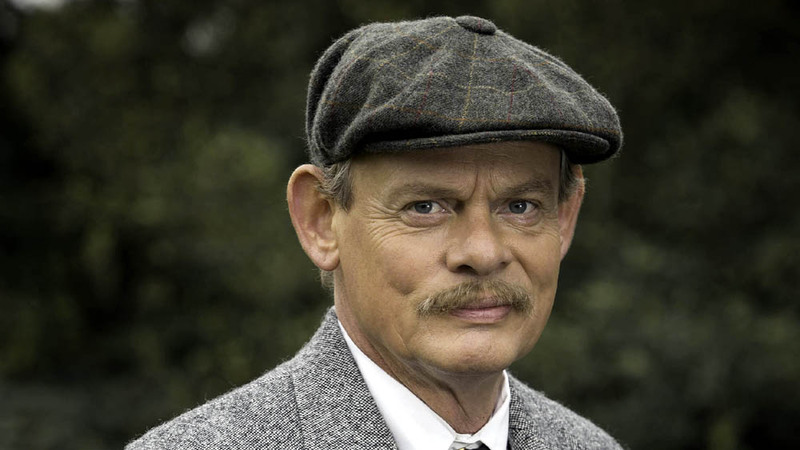 Big shoes to fill for Martin Clunes, then, who takes on the role of Conan Doyle in Arthur and George. But Conan Doyle is in safe hands here. Clunes is a well-respected actor for a reason: he is charming and likeable as the famous writer and physician. 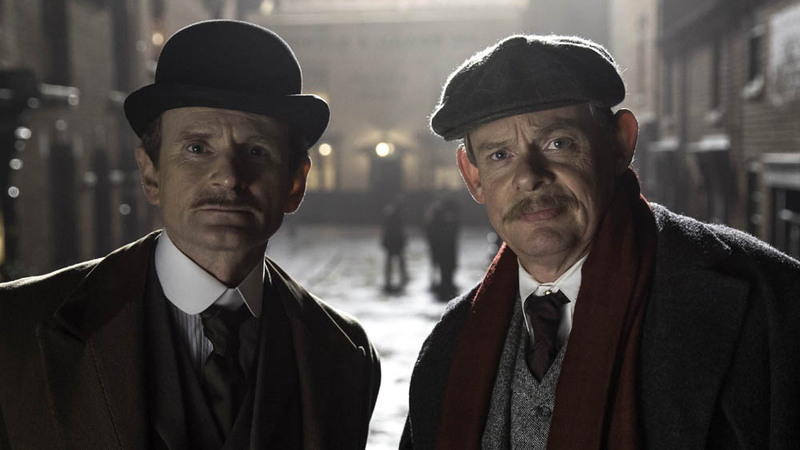 He captures Conan Doyle’s fierce intelligence with charisma and confidence, and he is well supported by the rest of Arthur and George’s strong cast. Arthur and George is based on Julian Barnes’ novel of the same name, which in turn was inspired by real events from Conan Doyle’s life, namely his involvement in The Great Wyrley Outrages of 1903. Holmes fans will enjoy the chance to see the man behind Sherlock taking on a case of his own, but whilst the fictional detective is definitely present in the atmosphere and in the mirror between he and his creator as truth seekers and problem solvers, what is particularly nice about Arthur and George is the fact that it tells the story of a man who is interesting in his own right, outside the world of the fictional man he became so famous for. It deals with a crime (complete with some wonderfully toe-curlingly sinister moments), but it also handles Conan Doyle’s personal life, and it does so with a light and fascinating touch. The episode gets off to a sharp start straight away, and that sets the precedent for the entire episode. There is no dragging introduction for this programme, no meandering beginning. Instead Arthur and George is instantly intriguing, and that level is kept up throughout the episode. All in all, it’s a very strong start; this three-parter is definitely one to investigate. Airs at 9pm on Monday 2 March 2015 on ITV. > Buy the complete Sherlock Season 1-3 boxset on Amazon. Phew. Thought this might end up as a big dud like Boredchurch, so great to hear it is actually five star quality. So if this is as good as Wolf Hall, very happy indeed and good to have the God-awful Boredchurch replaced by something so very very good! Yay. Enjoyable and Martin Clunes is having a great time in the role. Perfect Monday night viewing and miles better than the dreadful Broadchurch. I think ITV have a winner on their hands at long last.